With the Scottish Government’s consultation on the new Climate Change Bill closing in less than a month, Nourish will be publishing a series of weekly blogs about each of our four key asks for the Bill. First up: a Scottish organic target! Earlier this year we campaigned to get support for organic farming in Scotland into the Climate Plan (RPP3), and many of our members and supporters took part and wrote to their local MSPs. We got political traction: The Rural Economy and Connectivity Committee made inclusion of organic farming one of their headline recommendations in their report on RPP3. While we’re waiting for the Plan to be published, the Climate Change Bill provides another opportunity to push organic farming up the agenda. If you haven’t already, please do take part in the e-action run by the Stop Climate Chaos Coalition (of whom we are a member) and ask the first minister to take more leadership on mitigating climate change, and specifically focus on food and farming. In the Bill, we want to see ambitious organic targets for the 1.8 million hectares of land classified as Region 1 in Scotland, which is better quality, productive agricultural land typically used for arable cropping, temporary grass and permanent grass: 5% of Region 1 land under organic management by 2020, and 20% by 2030. It’s important to take both supply- and demand-side measures. We want to see the Scottish Government work with other stakeholders to implement the Scottish Organic Action Plan 2016-2020, which has been developed by industry in close cooperation with the Government. Proposed measures include strengthening the Farm Advisory Service to include advice on organic practices, investing in training and employment programmes in organic production as well as dedicated agricultural research, and setting strong public procurement targets for locally produced, organic food. Importantly, we need continued conversion and maintenance payments for organic farming regardless of the outcome of Brexit, and increase financial support to reflect the multiple public benefits delivered by organic producers. We’d like to see increased support for organic fruit & veg production for the Scottish market in particular. The land area under organic management in Scotland has been declining for the past 8 years consecutively, coming down to only 2.2% in 2016. Scotland is thereby lagging behind the rest of the UK (2,9%) and Europe, with the EU average increasing by 21% between 2011-2015 to over 6% of agricultural land currently. Organic land area increased between 2011-2015 by 52% in Ireland and by 61% in France. This was no coincidence, with the Irish Government setting an ambitious target in 2013 to see 5% of its farmland under organic production by 2020, and the French government committing to doubling its area to 7.4% by 2017. Germany, currently at 6.2%, is aiming for 20% by 2030 – which we believe is more than feasible for Scotland too. What does organic farming have to do with climate change? By shifting to organic farming methods we can lower Scotland’s greenhouse gas emissions, while producing healthy food and taking care of our environment. Research consistently identifies that organic farming is more energy efficient and delivers lower greenhouse gas emissions per unit of area and in most cases per unit of product. In addition, it has been estimated that widespread adoption of organic farming practices in the UK would offset 23% of UK agricultural emissions through soil carbon sequestration alone. There are many reasons for this. Organic farming, for example, relies more on biological nitrogen fixation from clover and other legumes instead of using synthetic fertilizers. While organic farming does not always offer equally high yields as industrial agriculture, our current farming systems are unsustainable and need to change. Besides mitigating climate change, organic farming supports biodiversity, improves soils, protects our water environment, reduces antibiotic use, and improves animal welfare. It is also more resilient in the face of changing weather patterns. There are socio-economic arguments too. Many farmers across Scotland are struggling to make a living, and developing Scotland’s clean and green farming brand would open up new opportunities for the sector. Organic farming offers more jobs on farms, higher gross margins and farm profitability, both in Europe and globally, as well as a large export market. The consumer demand is there, and growing: According to the Organic Market Report 2017, organic sales increased in Scotland by 11.7% in 2016 and 50% of Scottish consumers said they would buy more organic food and drink if it were available. Across the European Union, organic retail sales grew by 7.4% between 2005 and 2014. While we’re shifting to healthier diets, demand for organically produced food will continue to increase. 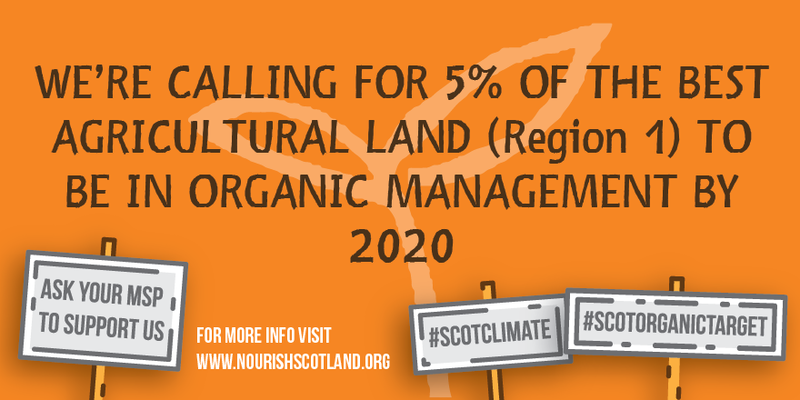 Would you like the Scottish Government to focus more on organic farming to mitigate climate change? 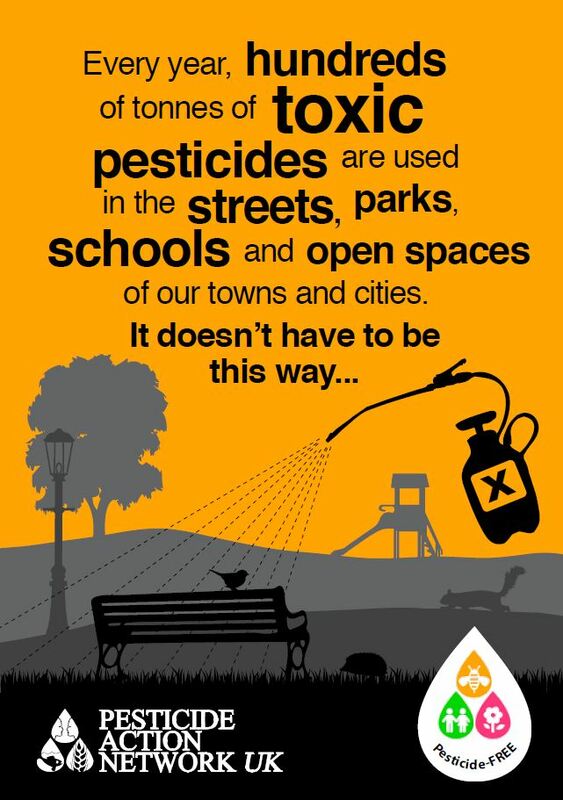 Please take part in the e-action today. You can find a template letter to use here if you’d find that useful. This ask is also supported by RSPB Scotland. You can also read more about our other asks here. 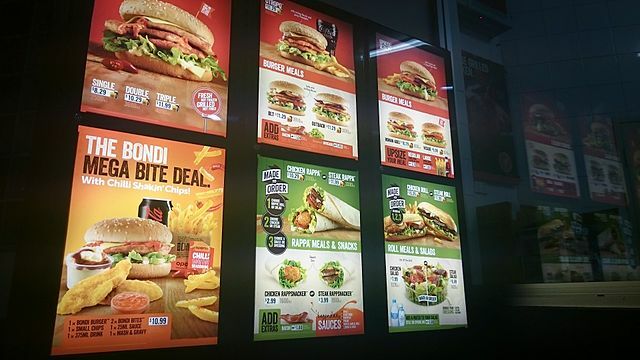 Diet & obesity strategy - Who's afraid of regulation?